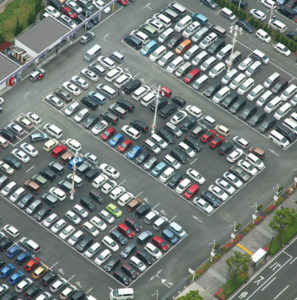 Parking management refers to policies and programs that result in more efficient use of parking resources. Parking management includes a variety of specific strategies; when applied properly, it can reduce the requirement of parking spaces, regulate vehicular traffic and can also generate financial gains to the government departments. Discussing about the need for a comprehensive parking management program Rm Alagappan, Senior Manager, Urban Mass Transit Company Limited; Sachin Naik, Founder & CEO, GetParking India; Dierk Grunzig, Consultant- Smart Parking, Parking Guidance & Mobility, CAP Consulting; Wilfred Menezes, Managing Director & CEO, Omnitech Group; Harmeet Malik, Executive Director, AutoPass India and Dr Rajesh Krishnan, CEO, ITS Planners and Engineers Pvt Ltd. The objective of the policies should be not just providing the parking spaces but also managing those spaces and promoting public transport. Alagappan: Enforcement of parking regulations should be approached not only from the authority perspective or from the police perspective but also from the system itself. For example, there might be a very good multilevel car park but again within the authority or within the systems, there is no proper coordination happening. Within 100 metres, I am creating an on-street surface parking spaces with a less quantum of price. That means, the entire objective has gone; people will try to park on-street and the purpose for which the multilevel parking structure has been created would lose its significance. When we are talking about metros, first mile connectivity and providing a good bus stop within 500 metres and everything, the time has come in the Indian scenario to go for a parking minimum also. The parking minimum, the third pillar, is nothing but the minimum parking space provided by the builder at the planning stage itself as per the parking policy. We should also be planning for the maximum space to be provided in a building and the availability of public transport connectivity. The fourth pillar is the parking permits. When a person is buying a vehicle he or she should show that there is a space for parking. Either he should submit a proof that space which might not be always within the premises, but it can be within 100 metres or 200 metres from the place of stay. Otherwise s the vehicle will come to the street. This should be taken care of while we make any policy. The fifth pillar is the last and the most important one. When there is a good public transport system available on the corridor, we need to try and discourage parking on the corrido. We need to create more spaces so that people would come to the public transport stations and park their vehicles; Park and ride should happen but not parking on the corridor. 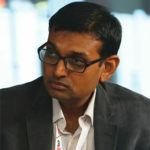 Sachin Naik: Basically, we believe that technology can solve problems but it is important to solve the right problems. There are many variables here; the population and vehicle density in that area, the road widths, the road network, and most importantly – what are the underlying mobility and parking problems we are trying to solve. Rather than having a static policy what we need is a frame work that allows policy makers and people that manage the smart cities to try out new things and see how they work in getting the right balance in quality of life for all the citizens, whether they own a vehicle or not. Talking of parking minimums, I think it is time for parking maximums. Where parking minimums have been implemented, the real-estate project developer is forced to include the cost of the parking space and pass that on to buyers of commercial or residential property. As a result, property prices increase, and this makes it harder for people to buy property. Worse, it actually encourages people to use private vehicles since they have parking in their building & have already paid for it! In the past, one got parking for free around them by using any available space nearby but now one must pay a lakh of rupees or more for a fixed parking spot, depending on the location. In spite of this, the cost of the parking space is still well below the true market rate of land in many city centers. So, I think it is time for parking maximums because otherwise you are going to have this problem where people will tend to buy more and more vehicles and it will continue to be a bigger problem. Dierk Grunzig: In Delhi, rules may be different. You can afford to build a building and to rent it out or to sell it out but the price per square meter is going down because rules are easier. One need not include 20sqmtrs per apartment for a car. It is easier in Delhi because public transport is more organised. Parking should be used to create revenue and revenue should be used to improve the situation of public transport. What are the cost effective technology that can be used to enforce the parking policy not only at dedicated parking bays but also at stretches of roads where one is not supposed to park? So, how do we enforce because the moment you start charging for parking people will go off and start parking somewhere else.? Wilfred Menezes: We are in the transition mode now, so basically this might take some time and we will have a lot of challenges. The success of the project lies in enforcement. Collection of fine in India is a big challenge because when you buy a car, your registration is valid for ten years. So, at the government level, this is required to be ratified in the policy. Now again, taking this to other countries where vehicles have to be passed every year, tests are done before the vehicles are passed and new registration numbers are given. One has to pay all the fines with penalties if any during this process. So, unless we bring this rule in place, no matter what system we implement it would remain a question mark.